• Love, Romantic Relationships, family, career, the future, your spiritual path, spirit guides, pets, past lives, health and wellness, psychic mediumship and connecting with those who have passed over —any topic or issue with the exception of information normally covered in a Pre-Birth Planning Planning reading (see above). • Intuitive Spiritual Counseling, instruction and discussions of metaphysics and spirituality are also appropriate. Because it is important to me to make the best use of our time together it is vital you prepare a list of the questions or issues to focus on, and a list of the names and birth-dates of anyone you will be asking about during your reading. I do not want this list in advance; just have it next to you when you call and we will work from your list. The more specific you are about what you want to know, the more specific and accurate your answers will be. Be sure every important question gets asked within the time span of your reading – my session recall fades within an hour or less after completing your reading. Currently General Reading appointments are commonly available within 3-4 weeks during this busy time of year. Be sure to scroll further down this page to read Payment Options, Phone or Skype, Cancellation policies, Recording the Reading and other terms. If using PayPal, check Appointment availability first, by using my Online Scheduler System to make sure there is an appointment available soon enough for your needs Use the “Click Here to Request an Appointment with Staci” link immediately below. If using PayPal you must pre-pay. Click below. A psychic exploration of health, wellness and illness issues such as (and not limited to) chronic, sudden onset or acute conditions or confusing symptoms. In this reading I work closely with my main spirit guide and/or 3 additional spirit guides who are healers of various types. Together we will look into your body, evaluate and discuss your condition with you. 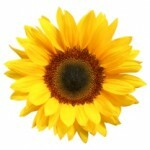 The information is meant for guidance and should not take the place of expert medical diagnosis or treatment. We recommend you take the information received in your consultation and discuss it with a physician or medical specialist. A Medical Intuitive Reading may be done in combination with topics described in the General Reading category above. If a health concern is the dominant focus of your reading, book a Health Intuitive Reading so that I may prepare myself for your session appropriately. Currently Medical Intuitive Reading appointments are usually available within 3 – 4 weeks at this time. 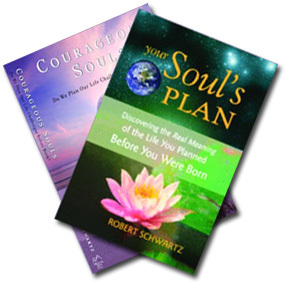 Deeply insightful and highly informative, this Reading is the same type of Reading I did for the books Your Soul’s Plan: Discovering the Real Meaning of the Life You Planned Before You Were Born (formerly published as Courageous Souls) and Your Soul’s Gift: The Healing Power of the Life You Planned Before You Were Born . This type of soul plan reading differs from a General Reading in that it goes very deeply into core issues and Karmic Lessons that have affected you during your present lifetime. It provides profound insights and a true sense of the big picture of your soul’s journey as it relates to challenges in your life. A Pre-Birth Planning Reading or All Day Experience is the correct and necessary reading for pre-birth planning session retrieval and learning more about your soul plan and Karmic Lessons. This reading will focus on the 1 or 2 Life Challenges of your choice. (Example: significant relationship issues and/or divorce, long-term behavior patterns, chronic or significant illness, other significant or long-term problems). 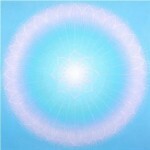 In-depth discussion of your Soul Plan with emphasis on the Life Challenge(s) of your choice. Karmic Lessons, challenges and issues that your soul chose to experience during this lifetime, noting various aspects of personality your soul wants to modify or experience during this incarnation — and how it all relates to the 1 or 2 Life Challenges you have selected to highlight. Past Life(s) that are back-to-the-cause, the one(s) most strongly connected to the Life Challenges your Reading will highlight. Pre-birth planning conversations and dialog may be included if time permits and if it is not redundant to the above outlined information. Keep in mind that the pre-birth conversations featured in Your Soul’s Plan and Your Soul’s Gift are excerpts from a minimum of 2 to as many as 4 Pre-Birth Planning Readings with all of them focusing on just the 1 Challenge. Once your Appointment is Confirmed an additional email will be sent to request the 1 or 2 Life Challenges you want your reading to highlight. A few sentences or paragraphs of info will be expected. This will be your mandatory HOMEWORK assignment. This vital step replaces the many hours of interviews the books’ author did with each of the people involved in the case studies. Please note: Deposit or Payment In Full is REQUIRED for Confirmation of all Pre-Birth Planning Readings and All Day Experiences. Pre-Birth Planning Readings require additional preparation and energy on my part involving a profound adjustment of my energy/vibration to access your Soul Plan and pre-birth planning session. A MINIMUM of 5 hours of my time is devoted to this reading: 60 minutes or more in gathering/processing your Life Challenge info, 2-4 hours in meditative preparation just before beginning the 95 – 120 minute session with you. ***SOLD OUT for 2019*** Want to get on the Waitlist? CLICK HERE to use the Contact Staci page and tell me you want to be on this Waitlist. I will contact you soon – as soon as I create the 2020 Appointments! I can offer just 22 Pre-Birth Planning Readings and/or All Day Experiences each year due to the tremendous amount of time and personal energy involved. Be sure to scroll further down this page to read Payment Options, Phone or Skype, Cancellation policies, Recording the Reading and other policies before you request your Appointment! Pre-Birth Planning Reading: 105-120 minutes. You will determine how long the session actually lasts (to a maximum of 135 minutes or as long as my energy holds out). This way your session will not necessarily end abruptly at the end of 2 hours even though there is more to explore; rather, it will be fluid in nature and continue as needed up to 2 and 1 quarter hours (or as long as my energy holds out). Time over 120 minutes is billed in 15-minute increments and is billed at the end of the session. For example, if your session runs 135 minutes, you would be billed an additional $60 for the extra 15 minutes. Many clients with complex Life Challenges choose to extend their reading (or book an All Day Experience, see below). All Appointments for Pre-Birth Planning Readings are available Mondays through Thursdays only at 11:00 am or 3:30 pm MY time in Arizona, USA (USA-Arizona Mountain Standard Time. A $250 Non-refundable fee applies in the case of early cancellation. A $1500 value! ***SOLD OUT for 2019*** Want to get on the Waitlist? CLICK HERE to use the Contact Staci page and tell me you want to be on this Waitlist. I will contact you soon – as soon as I create the 2020 Appointments! $825 – Pay in Full ***SOLD OUT for 2019*** Buy Now CLICK HERE to use the Contact Staci page and tell me you want to be on this Waitlist. I will contact you soon – as soon as I create the 2020 Appointments! Click here to book ONE appointment NOW – “Pre-Birth Planning Reading” and be sure to search for openings that begin in OCTOBER to DECEMBER 2019 instead of using the ‘as soon as possible’ option. which searches only 8 weeks ahead. PREMIER Pre-Birth Planning Reading. NEW! The same Pre-Birth Planning Reading as above PLUS a 30 minute Follow-Up session the following day or a few days after your Pre-Birth Reading to help you fully understand the information presented during your Pre-Birth Planning Reading, integrate the new information and help plan your way toward a more satisfying life and living your soul’s highest Karmic Goals. A $275 Non-refundable fee applies to this Reading in case of Early Cancellation. A $1625 value! ***SOLD OUT for 2019*** Want to get on the Waitlist? CLICK HERE to use the Contact Staci page and tell me you want to be on this Waitlist. I will contact you soon – as soon as I create the 2020 Appointments! $945 – Pay In Full ***SOLD OUT for 2019*** Buy Now Want to get on the Waitlist? CLICK HERE to use the Contact Staci page and tell me you want to be on this Waitlist. I will contact you soon – as soon as I create the 2020 Appointments! Click here to book TWO appointments NOW– “Pre-Birth Planning Reading” and “30 minute Follow-Up to PREMIER”. Be sure to search for openings in OCTOBER to DECEMBER 2019 and do not use the ‘as soon as possible’ option, which searches just 8 weeks ahead. GOLD ALL DAY Experience Your Personal Seminar! When the usual Pre-Birth Planning Reading isn’t enough to cover your extremely complex life, make it an ALL DAY EXPERIENCE. *** SOLD OUT FOR 2019*** Want to get on the WAITLIST? CLICK HERE to use the Contact Staci page and tell me you want to be on this Waitlist. I will contact you soon – as soon as I create the 2020 Appointments! Best for complex multiple Life Challenges, the All Day Experience becomes an extended Pre-Birth Planning Reading done in 2 Parts over the course of one day. Also good for when you want a different type of reading or service on the same day as your Pre-Birth Planning Reading (example: General or Medical Intuitive, Transformational Energy Work, Spiritual Hypnotherapy including Past and Pre-life Regression). All Day Experience Appointments are available only on select Mondays, Tuesdays and Thursdays and are currently booking 9 months out. A $350 non-refundable Deposit applies to this Reading in case of Early Cancellation. A $2350 value! $1650 – $850 Deposit ***SOLD OUT for 2019*** The remainder of $800 will be authorized to the payment card on file about an hour before your All Day Experience begins. SOLD OUT FOR 2019. Want to get on the WAITLIST? CLICK HERE to use the Contact Staci page and tell me you want to be on this Waitlist. I will contact you soon – as soon as I create the 2020 Appointments! PLATINUM ALL DAY Experience ***SOLD OUT FOR 2019*** DO YOU WANT TO GET ON THE WAITLIST FOR 2020? USE THE “Contact Staci” page on this website to send me your message and let me know! Your Personal Seminar – Includes a 45 minute Follow-Up Session a few days after your All Day Experience to help you fully understand the often overwhelming amount of new information you heard during your All Day and make your way toward achieving your soul’s highest Karmic Goals and living your most fulfilling Life! The most requested option now combined into ONE Package! A $350 non-refundable Deposit applies to this Reading in case of Early Cancellation. All Day Experience Appointments are currently booking 10 months out. A $2538 value! ***SOLD OUT for 2019*** DO YOU WANT TO GET ON THE WAITLIST FOR 2020? CLICK HERE to use the Contact Staci page and tell me you want to be on this Waitlist. I will contact you soon – as soon as I create the 2020 Appointments! DO YOU WANT TO GET ON THE WAITLIST FOR 2020? CLICK HERE to use the Contact Staci page and tell me you want to be on this Waitlist. I will contact you soon – as soon as I create the 2020 Appointments! Click HERE to book the THREE Appointments NOW – ALL DAY EXPERIENCE Part 1 and ALL DAY EXPERIENCE Part 2 AND 45 minute Follow-up to PLATINUM Be sure to select the same day for Parts 1 and 2. .
PayPal is available only for the “Pay In Full” option for the 4 Readings above but ONLY when these Readings are available. IF you want to use PayPal you can let us know in the Note section that will come up as you request your Appointment(s) OR you can use the Contact Staci page and we will send you a payment link for PayPal. Transformational Energy works at the quantum level to induce change in a physical condition, emotional state or other situation. Transformational Energy works within the Law of Grace – change can only occur when it is for the highest good of the individual or situation being treated. You may book a stand-alone session of Energy Work only or request it with your Medical Intuitive Reading or General Reading. Energy Work is by request only – be sure to ask for it if you want it. $135 – 30 minutes. Energy Work ONLY. Best for 2nd, 3rd, 4th and further visits. NOT for first time Energy Work! $195 – 45 minutes. GOOD choice for first Energy Work session. $250 – 60 minutes. GOOD choice for first Energy Work Session AND/OR when you want to include 5 – 15 minutes of General Reading questions. $320 – 75 minutes. BEST choice for first Energy Work Session AND 20-30 minutes of General Reading questions. You will be calling Staci’s Conference Room at the time of your appointment. • The U.S. phone number is included in your Appointment Confirmation and Reminder emails.• If you live outside the U.S. – Local phone numbers for Staci’s conference room are available for most, but not all, of the countries outside the U.S.. Your Confirmation email will include your local call-in phone number and access code for Staci’s Phone Conference Room if one is available. If a local call-in number is not available for your country then we must use Skype. • Clients who are more comfortable reading and writing the English language instead of speaking it, we will need to use Skype instant-message style so you and Staci can type to each other . IF we MUST use Skype – be sure to include your Skype name and whether you want Skype’s free voice chat or Skype instant messenger (typing) chat in the note section of your Appointment Request. Staci does not use a webcam so that she may remain deeply connected to her inner experience. You may use your webcam if you like, however Staci will only be seeing it in the first few minutes of your session. Face-Time is not available. In-person consultations are not offered at this time. PAYMENT OPTION 1: DIRECT TO STACI with your Visa, Mastercard, AmEx or DiscoverCard. When you Request an Appointment a new tab or window will appear with the Staci Wells Online Scheduler inside, where you can request your appointment in a secure and confidential environment. Fill in your complete Billing Information in the Online Scheduler. For GENERAL READINGS, MEDICAL INTUITIVE READINGS, ENERGY WORK –your card will not be charged until shortly BEFORE your appointment begins (unless you have paid for your reading ahead of time, which I call “pre-paid”). Pre-Birth Planning Readings and All Day Experiences are paid DIRECT to Staci AND your payment card info MUST be complete and in your account for Appointment Confirmation. PAYMENT OPTION 2: Pre-Pay through your existing PAYPAL ACCOUNT. If you want to use PayPal your pre-payment is expected immediately after requesting your Appointment and is Required for appointment Confirmation. First use the Online Scheduler to request your appointment and let us know you are paying through PayPal. (You do not need to fill in your Billing Info.) Then return to this page immediately and use the handy PayPal Buy Now button for the reading or service you have requested. Sorry, PayPal is not currently availabe for the Pre-Birth Planning Readings and All Day Experiences. Please know that fees are subject to change over time. ALL Sessions Are Recorded as a courtesy to you. The recording is either an mp3 or an mp4 digital file that you will be able to download and save to your computer or other storage media shortly after your reading has finished. This recording is for your convenience, and is provided as a courtesy. Staci Wells is not able to guarantee the quality of the recording due to the frequent energy anomalies which can occur when a psychic is around electronics or other technical challenges beyond her ability to control. All recordings are copyright protected by Staci Wells and any use other than for what they are intended (personal record of reading) is strictly prohibited without written consent. If you require a CD or USB flash drive copy of your recording it is available by special request for $15 for most Readings. A CD or USB copy of your Pre-Birth Planning Reading or All Day Experience is $25. CDs and USB copies are sent by regular mail to addresses within the U.S. only. Let us know you want a CD or USB copy in your Appointment Request. You must request the CD or USB when you request your Appointment. Consultation hours: Monday -Thursday, 11 am – 5 pm U.S.A. Arizona Mountain Standard Time. All appointments outside these hours will be considered an Emergency and are subject to an additional $100 fee. Staci occasionally makes Emergency Readings available in advance. You may also use our Contact Page to request an Emergency Reading from Staci if none are available in the Online Scheduler. Due to the limited availability and specialized nature of these sessions, if you must Early Cancel or reschedule you are required to contact my office by phone or email within the times specified below. Failure to do so will result in your being charged a Late Cancellation Fee of 50% of the booked reading or consultation fee. 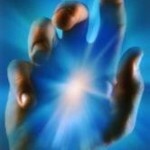 no later than 24 hours prior to all other types of readings/consultations. I will wait for you at the start of your Appointment for 15 minutes only and after that time you will be considered a No-Show and you will still pay the full fee for the time you had booked. Please be considerate of my time and my other clients’ time, as I will be of yours. If you miss your appointment without contacting my office you may not be given an opportunity to reschedule. I reserve the right not to offer appointments to certain individuals. There are no refunds for Staci’s services. Services are provided within the context of metaphysical philosophy. By agreeing to receive a reading or other service, you agree that your consultation is subject to your own interpretation. Information provided does not constitute legal, psychological, medical, business, or financial advice. Choices and/or actions based on the content of your reading or service are your responsibility. Readings are not available to anyone under the age of 18 without believable permission from a parent. Staci retains the right to refuse any request. Staci is available for seminars, workshops, speaking engagements, personal appearances, media and events. The information on this page may not be reproduced, republished or mirrored on another website or webpage without written permission from Staci Wells.